“It can always get worse,” says Martin Rowson, who’s made a career out of highlighting the idiocy of politicians in his editorial cartoons. We talk about the purpose of satire, his preference for subversion over respectability, the benefits of considering himself a journalist rather than an artist, the advantages of being self-taught, the rationale for selling his original art to UKIP, his literary background and the adaptions he’s done (The Waste Land, Tristram Shandy, Gulliver’s Travels), the ones he hasn’t done (Dorian Gray, Frankenstein), and the one he’s working on now. Plus, we get into the change in his outlook when he began working in color (and when he turned 50), how to draw Trump, his disdain for modern fiction and why he killed off Martin Amis a half-dozen times in his old literary strip, and what it’s like “committing assassination without the blood”. Give it a listen! 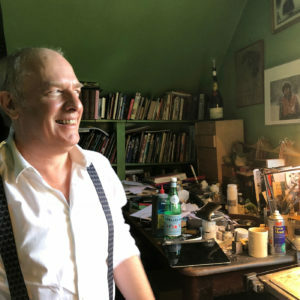 Martin Rowson is a multi-award-winning cartoonist, writer and broadcaster. His work is published in The Guardian, The Daily Mirror, The Independent on Sunday, The Morning Star and has appeared in more or less every other publication you can think of, apart from The Sun. He has produced comic book adaptations of T S Eliot’s The Waste Land , Laurence Sterne’s The Life and Opinions of Tristram Shandy, Gentleman , and Jonathan Swift’s Gulliver’s Travels . Other books include, Giving Offence , F*ck: The History of the World in 65 Unfortunate Incidents and The Dog Allusion: Gods, Pets and How to be Human , an irrational atheist’s response to Richard Dawkins. His 2006 memoir Stuff: A Memoir of Death and Life , about clearing out his late parents’ house and his own adoption, was nominated for the Samuel Johnson Prize for Non-Fiction. Martin is former chair of the British Cartoonists’ Association and a former vice-president of the Zoological Society of London. He was appointed ‘Cartoonist Laureate’ of London when Ken Livingstone was Mayor. For some reason, that didn’t continue under Boris Johnson. Credits: This episode’s music is Nothing’s Gonna Bring Me Down by David Baerwald, used with permission from the artist. The conversation was recorded at Mr. Rowson’s home on a pair of Blue enCORE 200 Microphones feeding into a Zoom H5 digital recorder. I recorded the intro and outro on a Heil PR-40 Dynamic Studio Recording Microphone feeding into a Cloudlifter CL-1 and a Mackie Onyx Blackjack 2×2 USB Recording Interface . All processing and editing done in Adobe Audition CC . 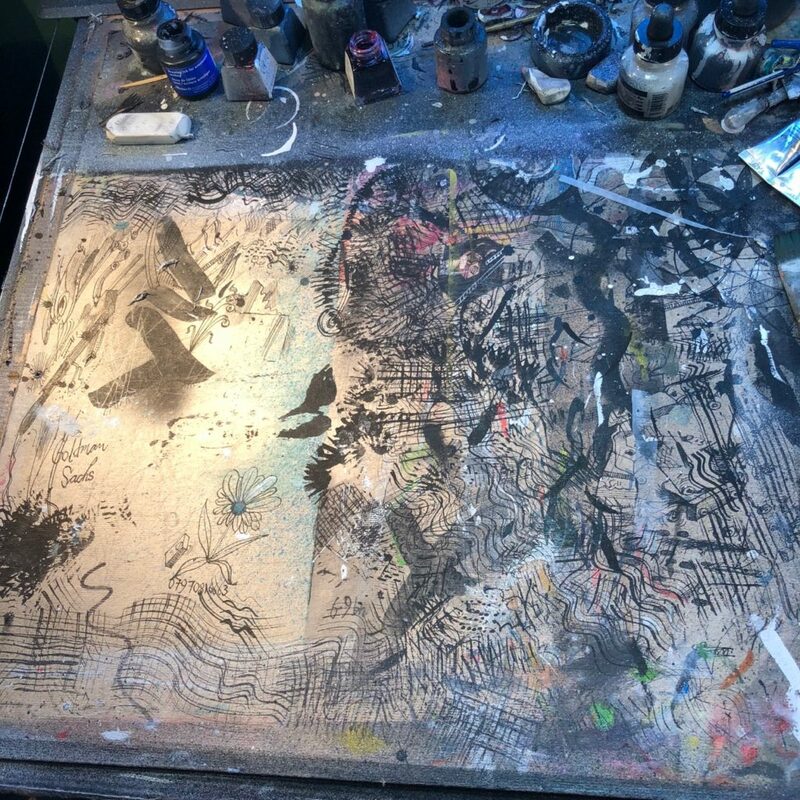 Photos of Mr. Rowson & his work & desk by me. It’s on my instagram.